5 bedrooms, 2 full bathrooms,Great for 2 Families! Great home for two families. A rare find! 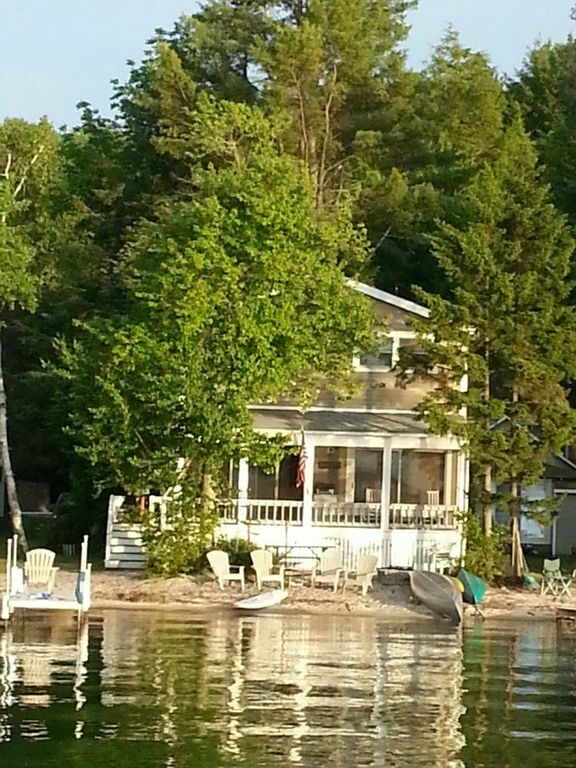 40 feet of white sandy beach on Lake Sunapee. East Side of the Lake gives Beautiful Sunsets! A safe haven for children and beginner swimmers with gradual graded sandy bottom beach. Complete with 4'x24' dock, sail boat, canoe and 2 kayaks. Great Screened in Porch with Rocking Chairs and Beverage Fridge. Picnic Table and Fire Pit on the Beach! Screened in porch overlooking the lake. Fire Pit on the Beach. We are 4 miles from the beautiful town of New London, Great Shops, Restaurants, Groceries, Live Theater, Golfing and More!! We are 2 miles from Sunset Hill. A great mile hike up the mountain to a beautiful open setting that overlooks the lake and Sunapee Mountain.